From disease management, to wellness, to optimal brain and body performance, Frontier Neuro provides NeuroHealth across a wide spectrum. As a neurology practice, the integration of NeuroHealth and other neurological services helps us achieve success for our patients. 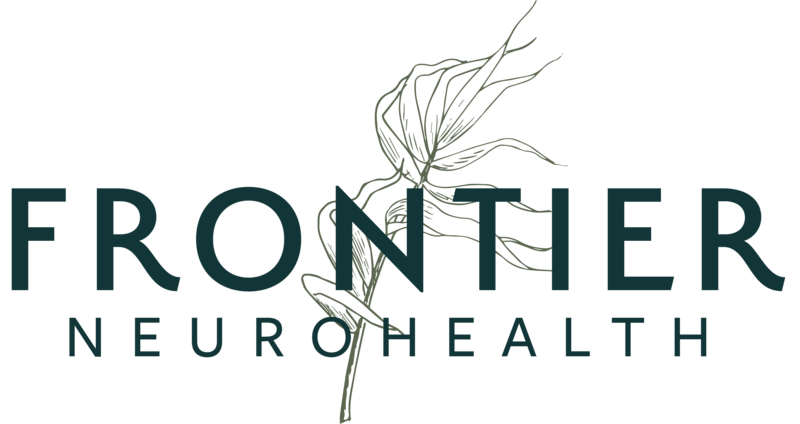 At Frontier NeuroHealth, we believe both chronic and acute illnesses can be treated through an integrative approach to healthcare. Our team of professionals has experience evaluating sleep habits, implementing nutritional programs, providing behavioral health coaching, and monitoring lifestyle modifications. Each of our services is grounded in whole-body healthcare, ensuring our patients lead a well-rounded life. Frontier NeuroHealth is excited to announce the availability of the FourCore Individualized Report by Neurozone®. 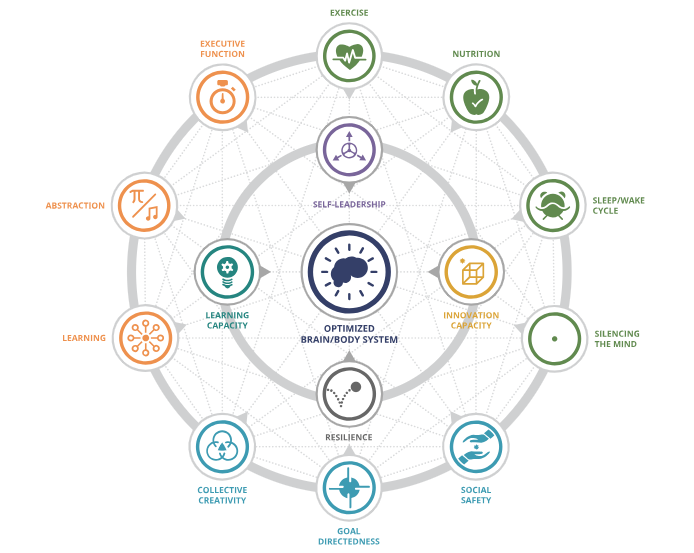 Neurozone® has identified a set of four core competencies and associated behaviors that lay the foundations for an optimized brain/body system and a platform for wellness. The FourCore Individualized Report recommends adaptations and behaviors that are proven to be effective in enhancing the functioning of the brain/body system. It is a rigorously tested and validated self-assessment that gives individuals an unprecedented personalized profile of the areas of opportunity to optimize the brain/body system for wellness, high performance and thriving. This assessment can be offered for individuals or to groups seeking to improve performance and outcomes. Neurozone® has identified 10 sets of drivers that work together in the brain/body system to maximize an individual’s self-leadership, resilience, and capacity to learn and innovate. The self-assessment reliably determines how the ideal drivers to enhance one’s core competencies are cultivated in any given individual or group. Based on these results, the Neurozone® system then provides actionable recommendations and links to useful apps. In conjunction with the FourCore Report, Frontier NeuroHealth offers short-term consultation and coaching to address any areas where improvement is desired. Our coaches support the skill building and habit changing process to improve optimization. Each individual is able to create a personalized action plan that outlines goals and strategies to optimize the brain/body system and, as a result, improve driver performance. This positively affects overall wellness. There should never be any stigma tied to seeking help for our mental health. Our professionals understand the serious implications of how mental health can impact our everyday lives – especially in today’s society. We are fully equipped to help you, no matter what you’re looking for. Good health begins with proper nutrition. The professionals at Frontier NeuroHealth understand how much nutrition can impact a person’s wellbeing. When patients tell us they want to feel healthier overall, one of the first things we recommend is improved nutrition. Of course there may be other things going on with your body, but improved nutrition is never a bad start. Our team is well-equipped with the resources to help people get to eating – and feeling – healthier. Sleep is a crucial aspect of our everyday lives. When our sleep rhythms are out of whack, life can seem like it’s a bit off. That’s why our professionals approach sleep medicine with the most innovative and comprehensive strategies. Contact us today to get your sleep in order. Everyone can benefit from the services provided by Frontier NeuroHealth. As one of the most advanced services provided at Frontier NeuroHealth, our team is able to perform molecular profiling. By delivering the highest quality neurological care throughout the Northern Plains and Rocky Mountain region, our team is able to help patients achieve the highest level of health. Our professionals are highly qualified and use education, experience, and technology to provide total patient care. This includes care for both chronic and acute illnesses. Our disease management team is dedicated to operating and maintaining a friendly, convenient, and comfortable environment for our patients. Learn more about Frontier Neuro.